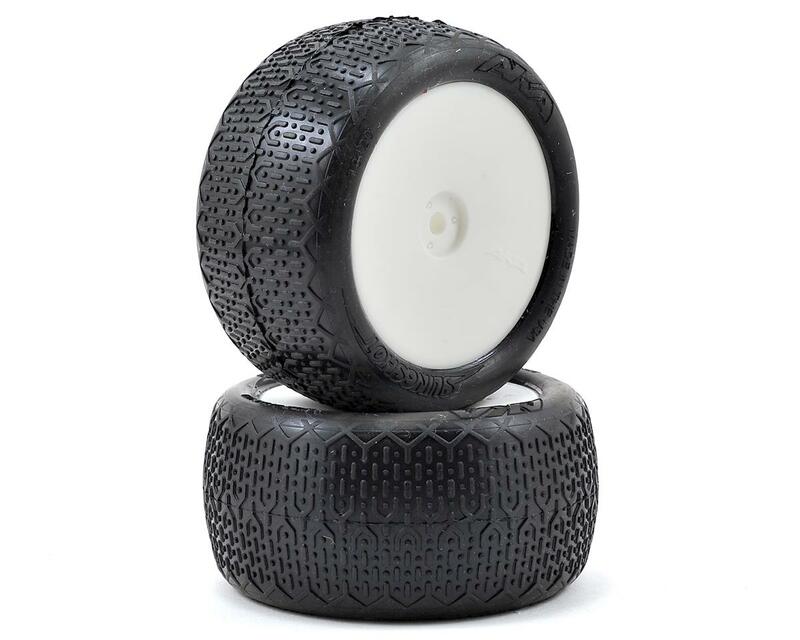 This is a pack of two AKA Racing "EVO" Typo Rear Buggy Tires, pre-mounted on white EVO rear wheels. 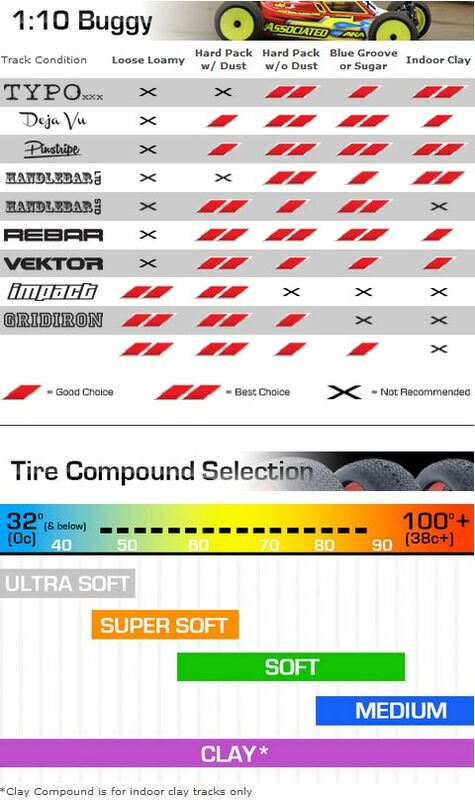 The TYPO is a very low tread pattern that has been optimized for hard-packed indoor tracks. The carcass features the 1/8 scale EVO bead, combined with a refined tread profile. 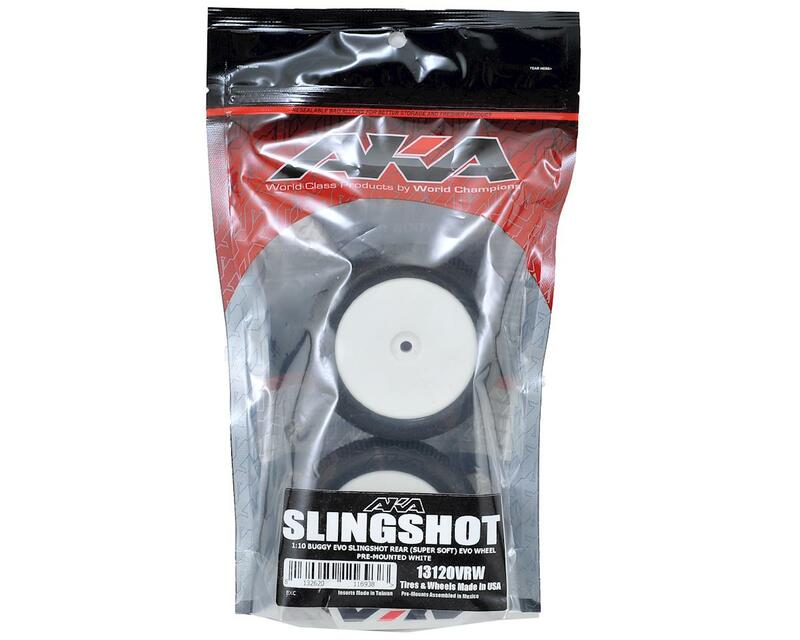 EVO Wheel: The EVO wheel has been redesigned to be stronger and stiffer. The EVO wheel features pre-punched vent holes in the wheel, combined with the L-shape bead that makes tire mounting much easier by giving you a wider and easily accessible gluing surface to ensure a strong bond between the tire and wheel.